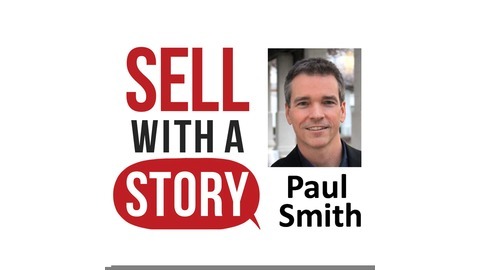 This podcast is to help you use the art and science of storytelling to help you be more effective in your sales role. What you’ll hear will come from two primary sources. Most will be stories that come from interviews I conducted with professional sales and procurement managers from over 50 companies around the world, including: Microsoft, Costco, Xerox, Abercrombie & Fitch, Hewlett Packard, Kroger, Cushman & Wakefield, Huntington Bank, Ghirardelli Chocolates, Amway, and Children’s Hospital, among others — all of which are documented in my book, Sell with a Story: How to Capture Attention, Build Trust, and Close the Sale. On other episodes I’ll have guest authors and experts in the sales field, including bestselling sales authors like Mike Weinberg, Anthony Ianarrino, Mark Hunter, and others. Has this ever happened to you? You finish what seems like a great sales call. The buyer says that they definitely need what you’re selling, and the price and quality are both fine. They’ll definitely place an order. Of course it has. It happens to every salesperson. So, what do you do in that situation? Well, too often we just end up reiterating, in vain, the same benefits we already explained earlier. But what a lot of great salespeople find more effective is helping the prospect understand the unique problem created by waiting. Tiffany Lopez, is a Senior Account Executive at DataServ where they sell Accounts Payable and Receivable software as a service. In late 2013, she closed a sale with a prospect she’d been working with for almost two years—or at least she thought she closed the sale. The prospect agreed to buy DataServ’s accounts payable software solution, but they didn’t want to start implementation until the following March. They told Tiffany that December and January were busy months when they’re closing the books, and February is audit season. So March would be the earliest the A/P staff would be freed up for an installation like this. “Come back in January and we’ll sign all the paperwork, and then start work in March,” they said. Well, January came, and Tiffany called the client. And called. And called. No response. Then she figured out why. She saw a news report that the company had just announced an acquisition of one of their competitors and were beginning work immediately to consolidate the new company. And she knew what that meant. That’s why Tiffany’s calls weren’t getting returned. They were swamped, working overtime on nights and weekends to keep up. In fact, to make matters worse, she found out that one of their key A/P managers had quit in the middle of it all, probably as a result of her excessive workload. That just increased the burden on the remaining staff. They had to hire more than one person to replace her, and training them was a job in itself. It’s a vicious cycle Tiffany has seen before. Workload goes up, morale goes down, people quit, so workload goes up, etc. When Tiffany finally heard from her client, it was no surprise that they couldn’t even begin to consider taking on the implementation of the new A/P software now. They were just too busy and had no relief in sight. The unfortunate and ironic thing about this story is that if they’d implemented Tiffany’s solution when they originally discussed it the previous year, they’d be in a much better position now. The new system is much more efficient than their current system, so when the acquisition happened, they wouldn’t have had to put in nearly as much overtime to keep up. That meant their best A/P manager might not have quit, which also meant they wouldn’t have had to hire and train any new people. Delaying was a decision they were certainly regretting now. Tiffany shares this story with prospects when they start to drag their feet. It creates exactly the sense of urgency you might expect it to, and not just for prospects that see an acquisition looming in their future. They know that any unexpected project that drops in their lap can result in the same series of unfortunate events, and that they’ll be happier if they install the new system now and not wait. Whatever your product or service is, there’s likely a similar example of the unfortunate consequences of delay for the buyer. Find it, and create your own “sense of urgency” story. 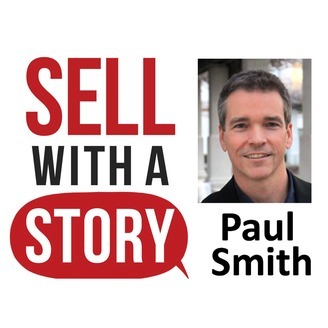 The post A Smart Salesperson’s Response to “Now’s just not the right time. . .” appeared first on Paul Smith | Cincinnati, Ohio.